The area can only be found for flat surfaces, so it does not make sense to say, " What is the area of a box ? " Take a look at the following rectangle. To get the area, we are going to draw squares of equal sizes inside of it. 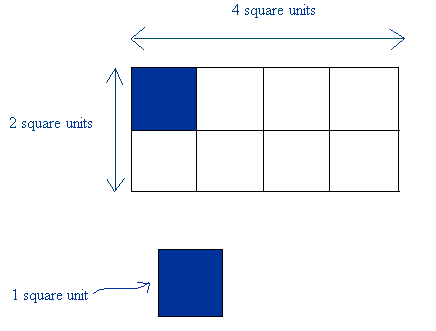 1 square represents 1 square unit. The rectangle has 8 squares, so the area for this rectangle is 8 square units. 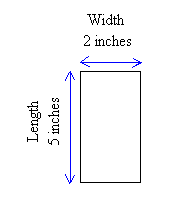 2 square units represent the measure of the width and 4 square units represent the measure for the length. 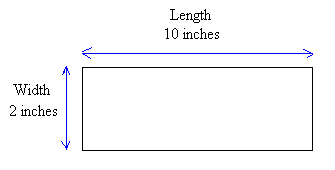 Notice here the unit we are using is inch. That means we are going to use squares, which have a side of 1 inch to get the area for the rectangle. 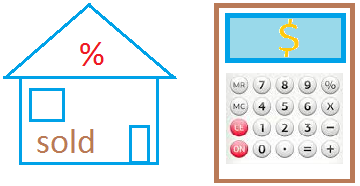 This also means that we can fit 10 squares with a side of 1 inch inside this rectangle. 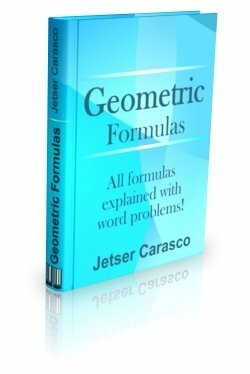 Now,that you understand how to get the area for a rectangle, it is going to be easy to get the area of shapes such as squares, triangles, and trapezoid.